Most entrepreneurs have common personality traits that include self-efficacy, innovativeness and need for achievement. I can spot them in a crowd and see them coming a mile away. Yet, when there’s an opportunity to ‘sell’ it is often met with silence or an overflow of words that are quite the contrary. The Entrepreneurial Sell: Tools and Techniques Every Start Ups Needs for Success book is far more than sales techniques; it’s about mastering the skill of selling. Don’t sell yourself short; if you’re a novice I offer tips to overcome your hesitation and find a sales approach that works with your personal and professional style. Whether it’s with your family and friends, potential customers, your team or investors, understanding the dynamics and specific techniques of selling is the single most important key to the success of your business. I wrote The Entrepreneurial Sell: Tools and Techniques Every Start Ups Needs for Success as an essential tool for aspiring entrepreneurs and start-ups to navigate the shifting business environment. 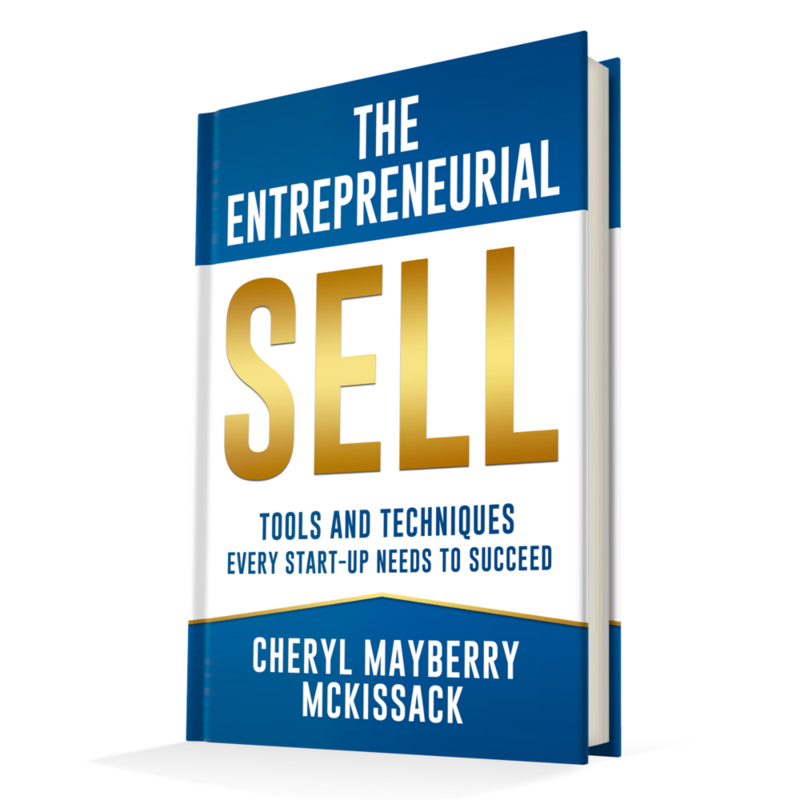 Entrepreneurial selling is the powerful framework that supports every stage of the entrepreneurial process. There has never been a better time in history to be an entrepreneur. The barrier to starting your own business has never been lower, people of all ages are starting businesses, and even those in traditional work settings have begun to think and act like entrepreneurs. I dedicate this book to the life and memory of my mom, Thelma Mayberry Arnold, who was my true hero. She showed me by example that I could be whatever I wanted to be if I worked hard, invested in myself through education and kept God in my life. Her unconditional love and support has followed me every day and provided such peace, joy and love. I miss her intensely but I know she is still watching over me and whispering words of strength and encouragement. I have been so blessed to be her daughter and I will forever be grateful for our love and time together. For every time she gently asked, “how is the book going,” I can now proudly answer, it’s done! In The Entrepreneurial Sell: Tools and Techniques Every Start Up Needs to Succeed, noted entrepreneur, business executive and entrepreneurship professor Cheryl Mayberry McKissack shares the essential inside information every entrepreneur needs in order to found and grow a new venture, with special emphasis on the most critical skill every entrepreneur must master: selling. Whether it’s with your family and friends, potential customers, your team, or investors, understanding the dynamics and specific techniques of selling is the single most important key to the success of your business. Mayberry McKissack’s book covers far more than sales techniques. She begins with a discussion of entrepreneurial character traits and spirit. She analyzes how to choose a business type, how to define a product, and how to analyze your customers and use digital marketing and research to create a feedback loop to grow your venture. She also offers guidance for business lines that entrepreneurs would be wise to avoid. 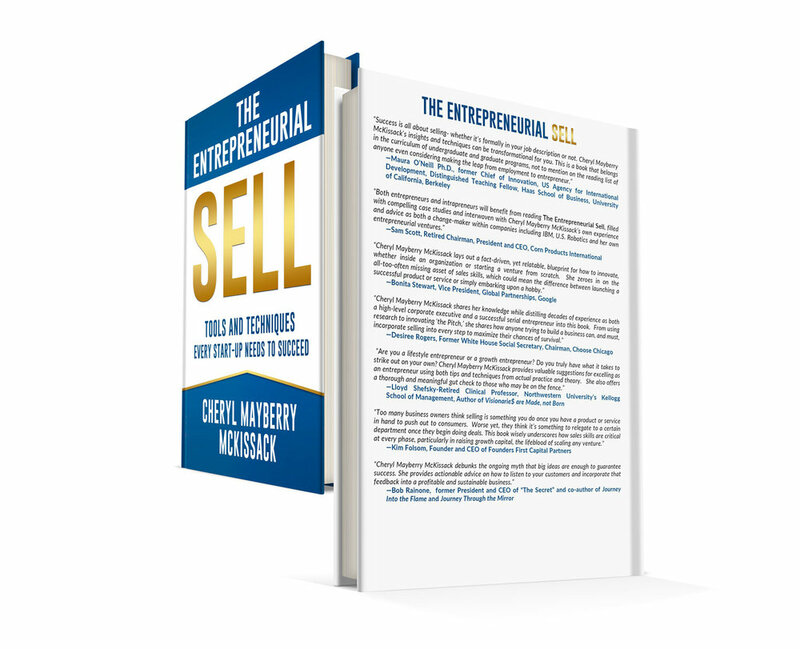 The core of the book is a master class in entrepreneurial selling. From the earliest days of pitching your idea to those around you, to developing your elevator pitch, to understanding various investor options and how to sell to each, this book will help every entrepreneur better understand various sales techniques—and when it’s appropriate to use each one. Throughout the book are case studies of successful entrepreneurs and start-ups. Founders tell us in their own words what the keys to their success were, and what they wish they had known when they were first starting out. Mayberry McKissack shares lessons learned from her own start-up experiences, as well as those in larger, more established companies within which she played an entrepreneurial role. Anyone can be an entrepreneur today. But not everyone will be successful. Increase the odds your business will thrive, by mastering the lessons of The Entrepreneurial Sell. From the Foreword, by Professor Steven Rogers of Harvard Business School: "Very few books, if any, address both the diagnostic and practical aspect of entrepreneurship. None links those aspects to the critical role of selling. The book will be one that students and entrepreneurs alike will wonder how they ever did without."